Depart coastal Seattle for the 100+-year-old Glacier National Park aboard Amtrak's Empire Builder. Highlights of your two-day visit include an excursion along the famous Going-to-the-Sun Road and stunning views from Marias and Logan Passes. Today's sightseeing excursion begins with a drive over Marias Pass. Enjoy wildlife viewing at Goat Lick. Visit the historic Izaak Walton Inn and Lake MacDonald Lodge, where you may elect to have lunch. This afternoon, continue along the Going-to-the-Sun Road to Logan Pass for stunning views before descending into the St. Mary Valley. Overnight Glacier Park Lodge. 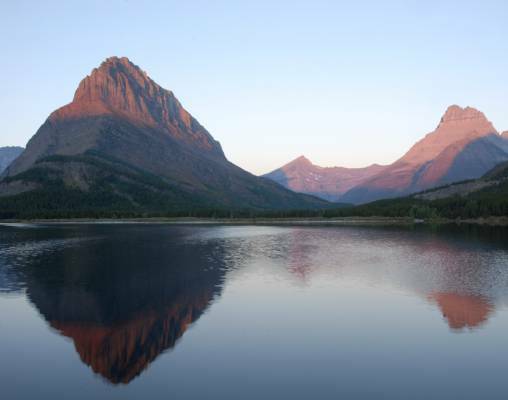 Click here to view testimonials for Glacier National Park Escape-Seattle Roundtrip. Overall our very first rail vacation was very nice. 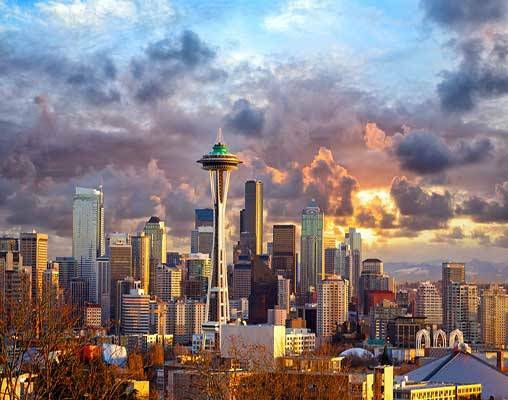 The only problems we experienced were with the reliability of the train schedule, and with the service (or lack of service) from the room steward on the return trip from East Glacier to Seattle. I must say, however, that the initial portion of our trip from Seattle to East Glacier was absolutely perfect - particularly the service we received from our steward, Curtis. He was AWESOME! What fun to travel by rail and see the cascade mountains going and coming back at different times of day. Then the Rockies in Montana on the opposite schedule. 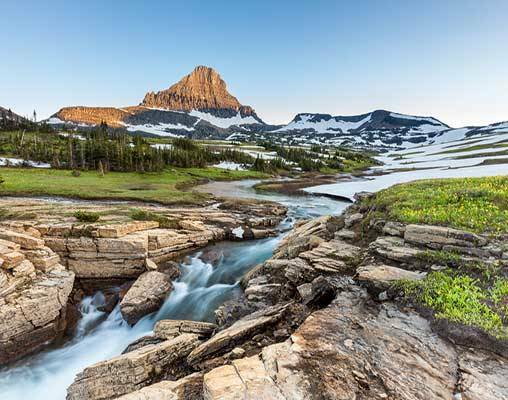 Enter your details below if you would like to be notified when 2021 dates and prices are available for Glacier National Park Escape-Seattle Roundtrip. Prices are land-only, per person based on double occupancy. Connecting rail from your city is available upon request. Contact a rail specialist for details. Prices are are correct at the time of this web page being published; yet, are subject to confirmation at time of booking. Vacations By Rail can supply connecting rail from your closest Amtrak Station.